How to avoid hearing aid disasters! As valuable as our hearing aids are, sometimes disaster will strike. 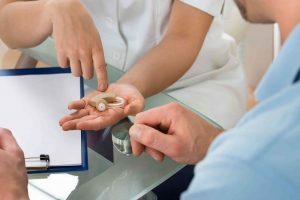 In this blog we’ll highlight (or lowlight, as the case may be) some tips for how to deal with hearing aid disasters. It doesn’t happen often, but at least you might be able to see some of these coming your way. Believe it or not, this is harder than it seems. Simply keeping hearing aids and their batteries off the ground dramatically reduces the chances of hearing aid disasters. Hearing aids close to the ground are more likely to be stepped on, eaten by a curious pet, suffering some kind of water damage, or being thrown away. Be sure to keep your hearing aids close at hand. This advice is especially important during natural disasters, such as floods, storms, and other incidents where a lot of water can rush into the home. Use some some sort of container for your hearing aids. This will prevent another disaster. Just as you would keep eyeglasses or contact lenses in their own case, why not your hearing aids? Also have a regular place where you keep your hearing aids when you don’t need them will keep you from forgetting where they are. Another bonus of this is that it will keep your hearing aids out of reach of possible water damage or mischief caused by a pet. You also will be far less likely to step on your hearing aids if they are kept in a container out of the way. Rats, mice, and hamsters might be adorable pets. But they are also inclined to chew on small objects. Give them something else to gnaw on, like gnawing blocks they can use while you remove softer or wooden objects from their reach. For bird pets like finches or parakeets, be sure to put away your hearing aids or any other small objects while they are flying around the house. It isn’t advisable to keep rodent pets and bird pets enclosed together in the same room. But if you keep them in another room from your hearing aids, it will prevent another disaster. They can’t escape or have run-ins with your other pets. If you suspect that your pet has swallowed your hearing aid, take them to the vet immediately. This also applies you think you’ve swallowed hearing aid batteries. At the vet, X-Rays can determine for sure if they have swallowed something. After that, the vet can advise you what to do next, as they would know best. This entry was posted on Friday, February 24th, 2017 at 9:22 am. Both comments and pings are currently closed.